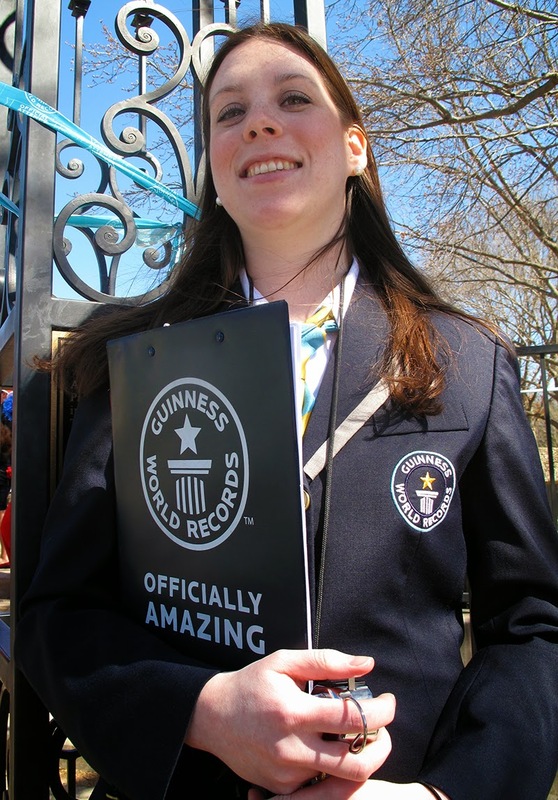 The Guinness Book of World Records may want to consider opening up an office in Dallas. Last week Tango Tab organized an effort and set a new record for the most sandwiches made simultaneously and today, Armstrong Elementary school in Highland Park ISD welcomed Guinness World Records adjudicator Sara Wilcox to witness history being made, as they broke the world record for "Most People Wearing Cat in the Hat" hats. The existing "hats" record was 281 and was set by New York City schoolchildren at an event organized by Random House Children's Books and the Jeff Gordon Children's Foundation at New York Public Library Feb. 4, 2013. Armstrong set out to double that record with more than 700 hats ready for 583 students, 68 staff members and a crowd of parent volunteers. 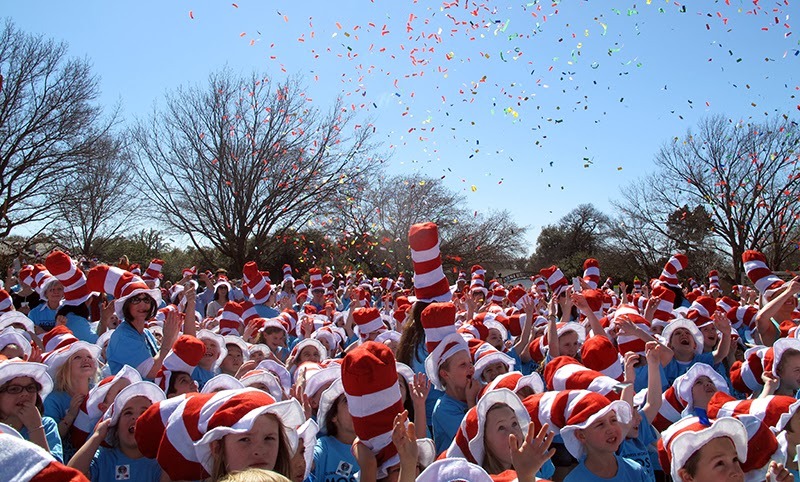 The Cat in the Hat, along with his friends Thing One and Thing Two, mixed it up during the celebration, thanks to the Dallas Children's Theatre. "This is fun because it gives students a unique way to express their joy of reading," Armstrong Dads Club President Mario Santander said. Principal Dr. Skip Moran said that sharing the excitement with students and parents has been half the fun. "Our greatest goal for our students is to develop a love of reading as a lifetime skill, and our partnership with parents in supporting students' learning is a key to their world class achievement," he said. "Thanks to the support of our Dads Club, Dr. Seuss Week is a fun way to celebrate reading at Armstrong Elementary." Congrats to the Armstrong Eagles! !